A third of all food produced globally—approximately 1.3 billion tons worth—is wasted every year, according to the United Nations Food and Agriculture Organization. Arguably, the chief offender is bread. Because of its short shelf life, there’s often so much left over that food banks and feeding programs are unable to cope with the available excess. Tristram Stuart, a British author, food waste activist, and the man behind Toast Ale, hopes the problem drives you to drink. Stuart’s big idea is to take surplus bread and use it to produce something we can never have enough of: beer. A six-pack of Toast Ale. Brewers at Chelsea Craft Brewing Co. in New York’s Bronx. The project launched in the U.K. in 2016, and now there are three varieties: a lager called Much Kneaded; Bloomin’ Lovely, a session IPA; and Purebread, a pale ale. Occasionally, Stuart will collaborate on specialties such as a Christmas bread pudding-inspired ale made by Wiper and True in Bristol. Proceeds from Toast go to support Stuart’s organization Feedback, which sponsors and supports educational outreach, along with his Feeding the 5000 event, in which mass public dinners are made from surplus food. 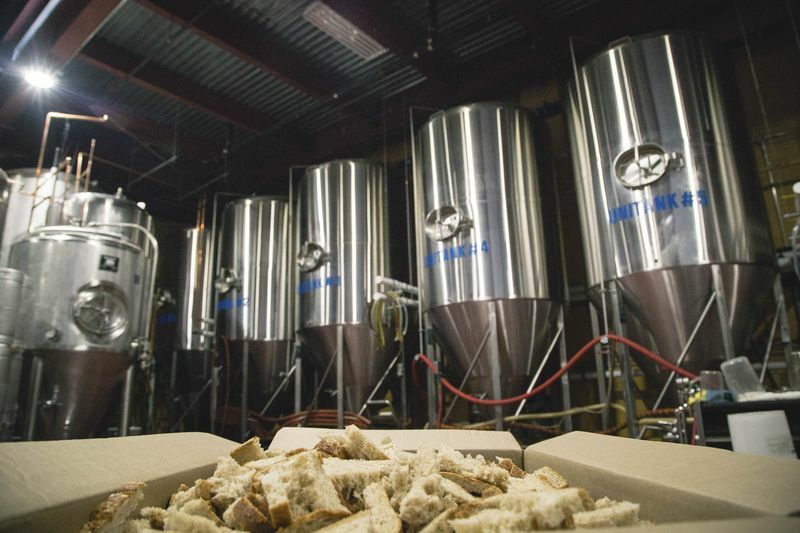 Each pint of Toast ale has the equivalent of one slice of bread in it; according to one estimate, the company has brewed 9 tons of bread since its inception, with a CO2 equivalent footprint of 4.5 tons. Heady with success, Toast launched an American Pale Ale in New York over the summer. Another will debut this month in Brazil to benefit Gastromotiva, an organization founded by activist David Hertz that aims to bring food and job security to the nation’s poorest citizens. In November, they will launch in Iceland, to support Vakandi, which fights food waste in the nation of just over 330,000 people. Bread crumbs at Chelsea Craft Brewing in the Bronx. The distributed approach makes sense, since bread waste and breweries are both everywhere. 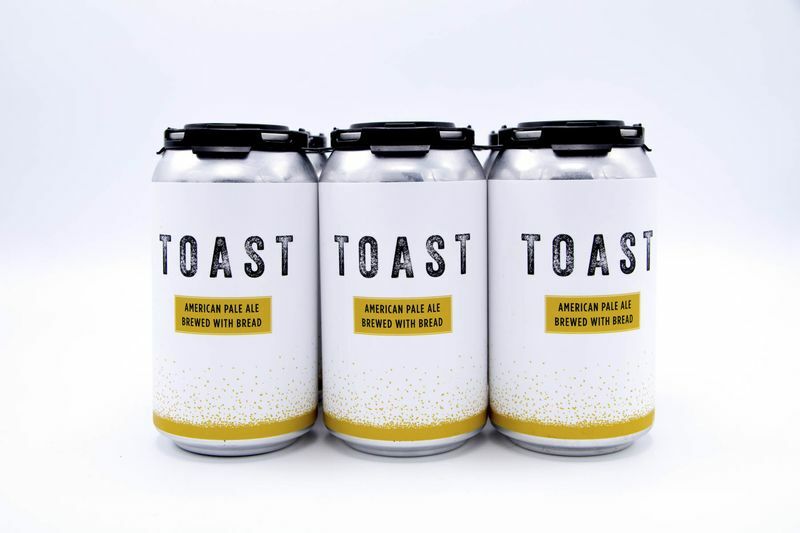 Toast brings them together with established marketing and messaging plans, as well as the knowledge of a brewmaster who learned the intricacies of using bread in the brewing process. 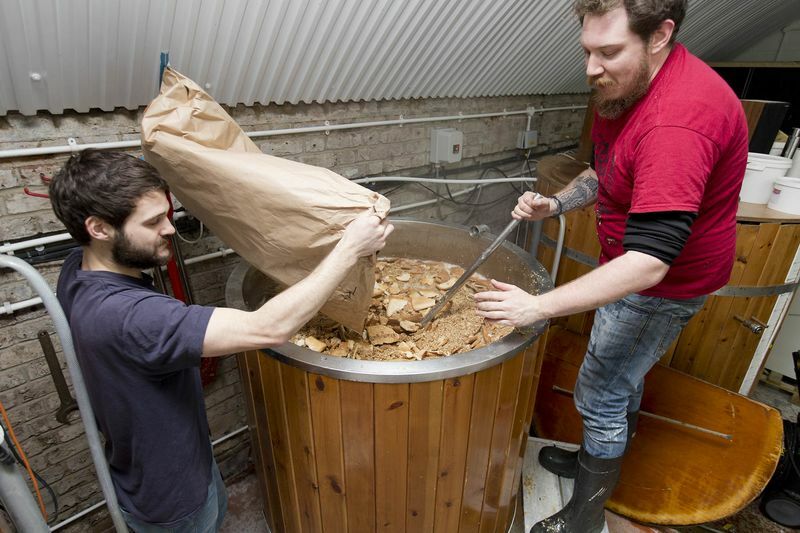 Brewers using bread to make beer at Hackney Brewery in the U.K. In New York, Toast ale is now available at Whole Foods Inc. and at select restaurants such as Tom Colicchio’s Craft and Dan Barber’s Blue Hill—both leaders in the fight against food waste. 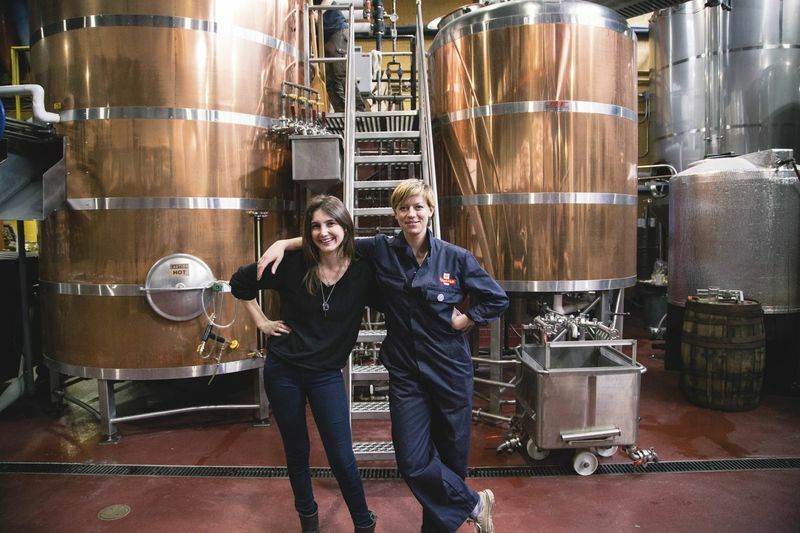 The beer is brewed and canned in the Bronx by the Chelsea Craft Brewing Co. in roughly 10,000 can batches. The company also recently collaborated with the brewery at Mario Batali’s Eataly in Manhattan’s Flatiron district, where bread from the emporium’s bakery was brewed on site into an IPA served at Eataly’s rooftop beer garden. As with its U.K. sales, profits from Toast sales in the U.S. go to support Feedback. For a cause that is so often bedevilled by sanctimony and seriousness, beer is a way of getting the message out that “Actually, we can correct this problem by having a massive celebration,” says Stuart.